Australia’s financial sector looks set for sweeping changes after a national inquiry proposed a host of measures in an attempt to combat industry misconduct. The findings have prompted widespread reaction and look likely to have significant impact, with senior banking figures resigning from their posts in the wake of the release of the results. Treasurer Josh Frydenberg insisted the government would work “immediately” to legislate some reforms, admitting the public had paid an “immense” price for the misconduct. But, how did things get to this stage and what exactly did the inquiry say? We look at the background to an issue which is sure to provide fallout and spark debate for some time to come. In 2016, the ABC (Australian Broadcasting Corporation) reported a profit-at-all-cost culture within one of the country’s largest financial institutions and its insurance arm was found to be using unscrupulous practices buried in the conditions of the fine print of its contracts to deny, delay or avoid paying claims. This discovery led to a Senate Committee of the upper house, chaired by Labor Senator Mark Bishop, investigating the scandal, which was costing thousands of customers millions of dollars. It was from this that the recommendation was made for a Royal Commission be established, despite the governing coalition of Liberal and National Parties opposing the move and subsequently voting 26 times against the motion that followed. The Commission, co-sponsored by the Nationals, the Labor Party, the Green Party and cross bench Senators, was eventually established in 14 December 2017. On conduct and reward, the report notes role confusion in front line staff and beyond. The duty to provide a service to customers was quelled as sales became all important. A culture of rewarding misconduct was cultivated by incentive, bonus and commission schemes that measured sales and profit, but not compliance with the law and proper standards. On symmetry of power and information, the report notes a deliberately manufactured imbalance of power and knowledge between service providers and customers that robbed consumers of detailed knowledge or understanding required to negotiate terms of transactions. On conflicts between duty and interest, the report notes that consumers commonly deal with a financial services entity through an intermediary. While a client may have fairly assumed this intermediary would act in their best interest, in many cases, the intermediary is paid by, and may act in the interests of, the financial services entity providing the service or product. This conflict of interest was too often resolved against the interests of the client. On holding entities to account, the report notes the fact that financial services entities broke the law and were not properly held to account is a failure of regulation. The community expects its regulators to recognise that having a wrongdoer compensate those harmed is one thing, holding wrongdoers to account is another. While regulators may have enforced the former, there is little evidence of enforcement of the latter. 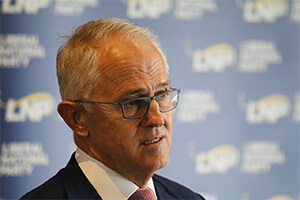 Upon hearing the findings, Malcolm Turnbull, who was prime minister when the government was resisting calls for a Royal Commission, conceded that was perhaps not the correct decision. “I could see that the problem was a failure of responsibility and trust, and I wanted to get on with it and deal with it quickly. What these latest developments and the scale of reaction shows is that, for too long, these banking institutions have put too much of their focus on profitability – and their own gain – at the expense of industry integrity and what customers really want, which is a reliable and secure service. There can be no denying that we are in a climate where regulatory pressure and customer expectations are at an all time high, and this is why it is more important than ever to meet the needs of both regulators and clients. Compliance-related technology may come at an expense but the cost of not satisfying regulations can be, as we are seeing now, much higher. The consequence for the banks now is that they will have to work to rebuild not only their reputations, but the trust of customers, which is what the success of any good business depends on. There could not be a case that better illustrates the fact that, when it comes to client experience and compliance, businesses must get both right to thrive – or risk paying the price.